Learning to drive is something we only ever plan and intend to do once. It's the skill that we carry throughout life, and never truly stop learning. With driving, experience helps build our confidence, and most importantly our safety on the roads. When considering and setting certain goals in life, learning to drive can have a profound impact on many different areas of our life. Today we look at 10 of the biggest areas of life that learning to drive can have a positive impact. Owning, maintaining and running your own car can be seen as somewhat of a burden, however, having the responsibility of running your own car brings with it a whole wealth of benefits. For starters, you can dictate and manage the costs. There are lots of options for different insurance companies, car sizes and maintenance garages; therefore compared to having to rely on public transport or private taxi's to commute - you are actually in full control of the costs, which depending on how much you travel - can actually save you a lot of money over a year! It's an obvious one but isn't something to be underestimated. While public transport has its benefits in busy towns and city centres, sometimes waiting in the cold for a bus for an hour can be the worst feeling! Especially if you only need to pop to the shop for some milk, or appreciate the shorter journey times in general. Getting your driving licence is something you only ever do once in your life (hopefully! ), therefore the convenience that generates over the course of your life is immeasurable! Studying your theory, and undertaking & passing your driving tests give you personal development skills all in itself. By opting to begin the journey of getting your driving licence and progressing through the personal development plan a good driving instructor can provide you with will undoubtedly give you the skills to learn, develop and progress in which you can apply to other areas of your life. When growing up as a child, it's always that hot question people who care about your future ask you "what do you want to be when you grow up?". The answer can sometimes be a fairytale, although as you do get older you start to appreciate the journey your life is on, and new opportunities can jump on that you need to grab with both hands! A common reason for someone not being compatible with a new employment is their ability to make the required journey - whether driving to work or to drive for work. A full UK driving licence is something commonly seen on job adverts, therefore to keep prospects as wide open as possible for those unexpected opportunities that pop up in life, a driving licence is something that will never do that any harm! It's human nature to be sociable. We all have our close group of friends and people we regularly interact with, and learning to drive can be a magical boost to your interaction, communication and engagement with people around you! Driving will not only give you that push to spend more time away from the computer or smartphone and out and about with actual human beings, but will also be a great talking point and a conversation starter with meeting new people in the future! Driving is a skill which allows us all to become more social with each other. Whether you're going to your distant relative's wedding or simply going to work or college, it's a lot quicker and more direct to drive yourself than travel by either public or private hire transport. The same goes for when you need to pick up bulky items. Throwing them in the boot of your car is always going to be easier than trying to carry them to a busy bus stop, therefore your day to day travelling becomes easier and more rewarding when you have a driving licence. Just as much as humans enjoy being social, they also enjoy living life on the adventurous side! Whether you're young or old and wish to explore, by either picking up a purchase from afar or simply going out on a day-trip with your friends; no matter how old you are adventure can keep you feeling young. So stock up the car with supplies, take a couple of friends - and hit the road for a fun-filled adventure! Whether you're young and living with parents, in university and sharing with friends, or older and living on your own - the independence that comes with owning your own car is rarely rivalled. For younger drivers, it provides a sense of responsibility, such as managing the vehicle, expenses and your navigation schedule. For older new drivers, it can become a gateway to independence where you no longer have to rely on others to move around. It's never too late to learn to drive, and the independence that comes with passing your driving test is something that benefits everyone. Whether you're into art shows, music festivals, concerts or you enjoy family holidays - it's all so much more possible once you have your driving licence. Enjoy the freedom of not letting travel hold you back, therefore making those longer commutes a complete reality, allowing you, your family and your friends to embrace life to the full. It's commonly quoted that you only live once, and with that mindset; why not make the most of it? 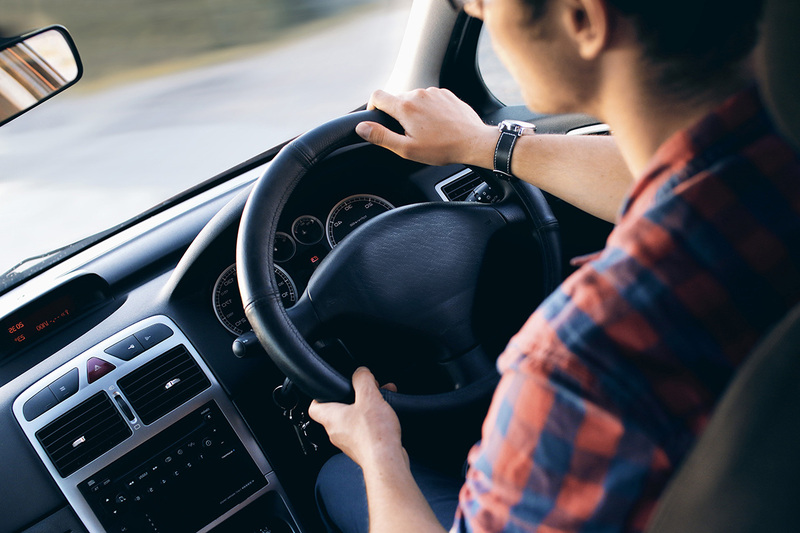 If learning to drive has always interested you, why not get in touch with us today and pair with one of our friendly driving instructors who will layout your journey from student to the driver as cost-effective, safe and enjoyable as possible.